Nominations for USITTs Gateway Program are now open. 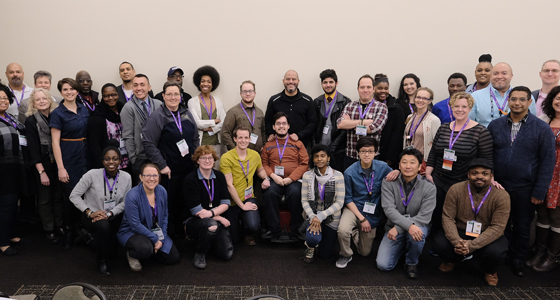 The Gateway Program is open to for students and Early-Career professionals from underrepresented groups in theatre production to receive professional mentoring and to participate in USITT 2018 in Fort Lauderdale. Twelve selected participants will pair up with professional mentors for the 2018 Annual Conference & Stage Expo. Gateway is open to student/early career members underrepresented in live entertainment design, technology, and management because of race/ethnicity, disability, and/or sexual or gender orientation. “The program made me feel whole,” said USITT 2017 Gateway mentee, Doran Konja. “It makes you see that you can achieve anything. Being able to meet the pros who are doing amazing things at companies you can only dream about right now that you feel a sense of kinship with, it’s fulfilling.” See Doran’s full interview, here. 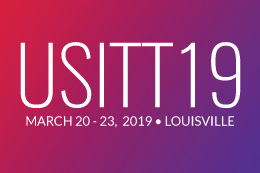 If selected as one of the twelve participants, you will receive conference registration, travel and housing support to USITT 2018, as well as be paired with a mentor from a similar background. In addition, Gateway mentees take part in special receptions and sessions on diversity and inclusion in the production industry. To learn more about Gateway and to nominate, click here.